Did you know that you can add reading pane in Gmail – similar to Outlook. Gmail Reading Pane or Gmail Preview Pane comes handy when you do not want to change the overall user interface of Gmail and wanted to see the highlights of recent emails while reading a full email body. Most of all the Outlook users love and uses the preview pane option. And it seems like you are also interested to Enable Email Preview Pane in Gmail – Outlook like. This step by step user tutorial will guide you to Enable Email Preview Pane in Gmail. We will also go explore some options to resolve the issue if your Gmail preview pane not working. From last few years, Gmail became widely acceptable email service used by corporate houses, business personals, and individuals. Due to it’s easy to use interface, Gmail has overcome the legacy of MS Outlook in the last decade by providing customizable solutions as per the requirement. But some of the Outlook features like Gmail Reading Pane comes disabled by default. To change the user interface of your Gmail and to read your emails right from your Gmail home page. You just need to enable the Gmail preview pane option from the advanced tab of Gmail settings. 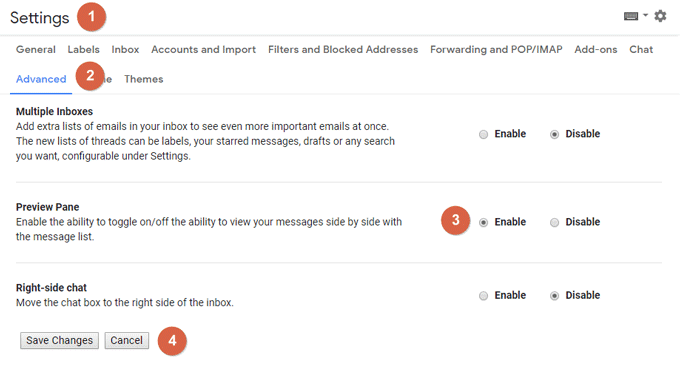 After enabling that option, you will able to read emails faster from Gmail Reading Pane like MS Outlook. 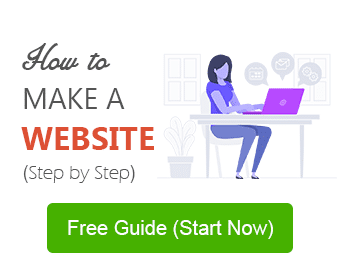 Scroll down this page to read step by step procedure. 1. 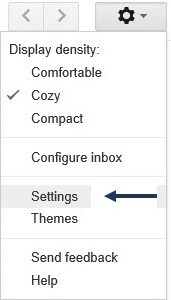 First of all, Open your Gmail in the desktop browser and go to Gmail Settings, Settings you can find in the upper left corner of Gmail. 2. Go to the Advanced tab in Gmail Settings and find the option named Preview Pane. 3. Click on the Enable option and scroll down to Save Changes. Gmail Toggle split pane mode is a button, to activate the vertical or horizontal split mode of Gmail reading pane. Let’s learn how to use toggle split pane mode in Gmail and how to get the toggle split pane mode button if missing. 4. Gmail will automatically reload and you will find another new button called Toggle split pane mode just before the Settings button. If toggle split pane mode button is missing, just reload your Gmail and repeat step 1, 2 and 3. 5. Finally, you can select Vertical split mode or Horizontal Split mode as per your requirement, by clicking on the preview pane button and after few seconds you will be able to read your emails from a preview pane. Tips if your Gmail Preview Pane Not Working? If the Gmail preview pane not working in your browser. Pl go through the following points and implement the same. First, open your Gmail in Google Chrome. Re-check, that you have Enabled the Gmail Preview Pane option. (Settings > Advanced > Preview Pane). Clear browsing data of your Chrome (Settings > Advanced > Clear browsing data > Clear Data). Again login to your Gmail and check. Any of the above-given points might be a solution if your Gmail preview pane not working. Hope you find this tutorial helpful and learned how to add reading pane in Gmail. Please do let us know if you are interested in such tutorials. I would be happy to help. Do write your feedback in the comments section below. So I subscribe to a lot of daily online news feeds that are presented in email format and I use Google Gmail for my main email. I get the preview pane through Labs and the toggle switch but there is no way to tab over the body of the email and scroll down using the arrow keys or anything else but a mouse. This would be a great fix to be able to do so. If it has please show me directions in how to do so. Unfortunately, The Email Preview Lab has limited functionality at this point. How do we get the Preview Pane to present its “3-rows per email” in the new Gmail?